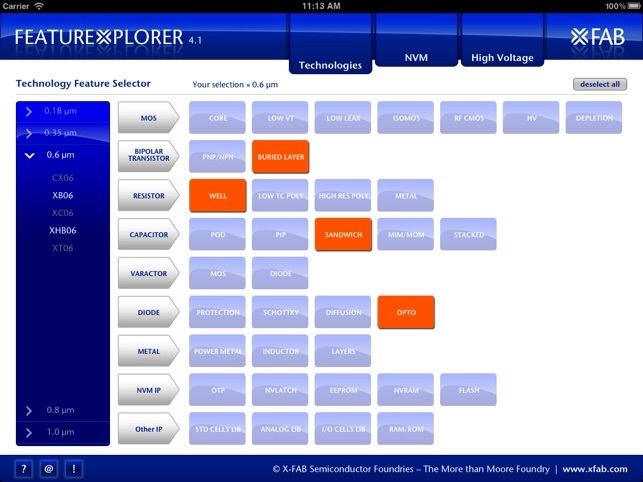 The FeatureXplorer enables you to get a quick overview of X-FAB's broad foundry technology portfolio, helping you to select the right technology features for your next chip design. 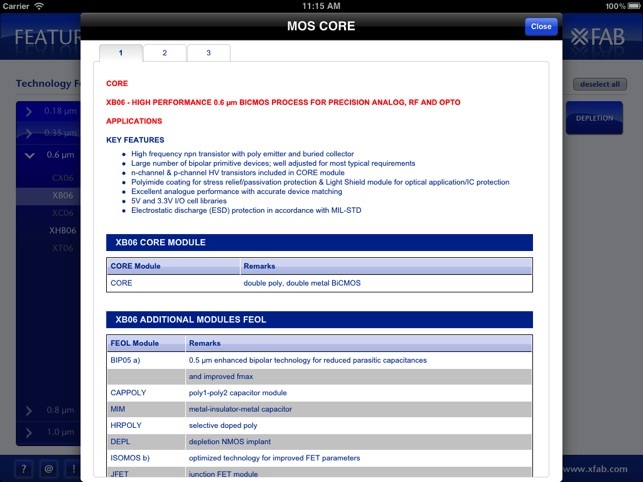 The tool also includes a non-volatile memory (NVM) and high-voltage selector functionality. 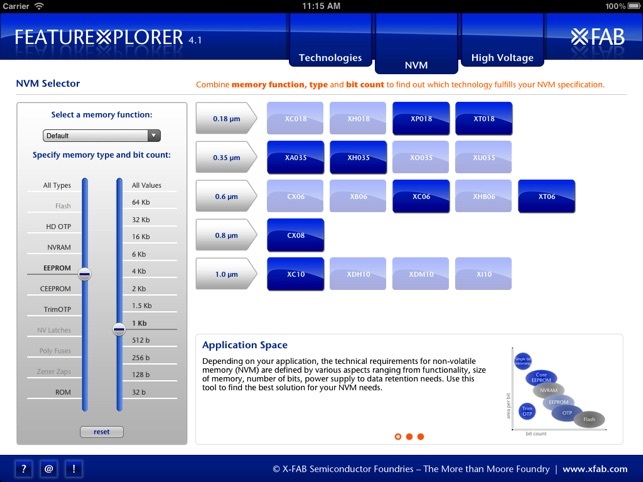 Use this App to combine memory function, type and bit count to find out in which technology your selected NVM configuration is available. 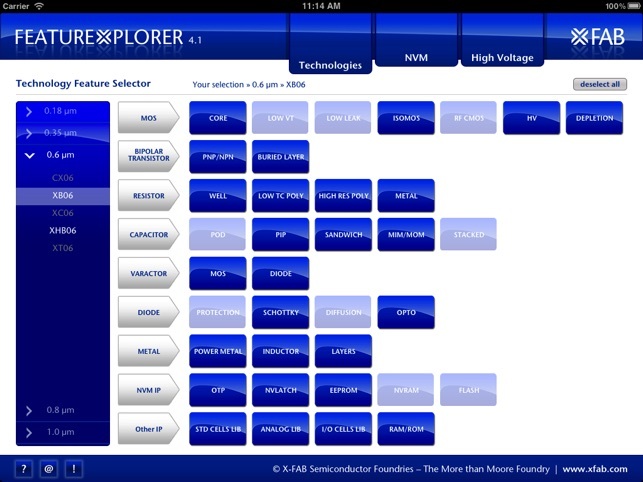 Or, choose transistor function, VDS and VGS values to find out which technology offers your required high-voltage devices. 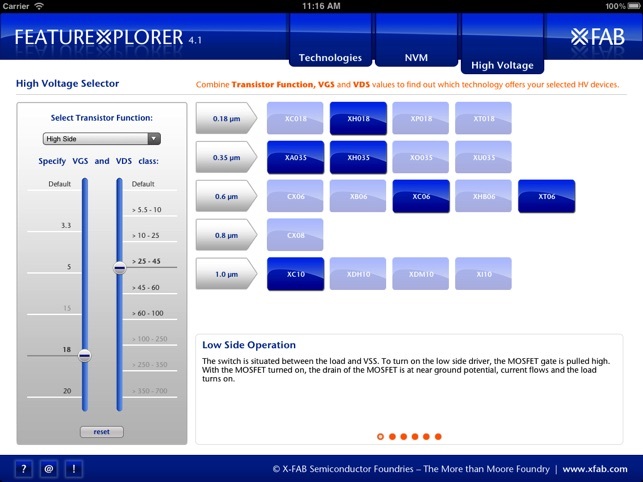 Start eXploring now.